A real play D&D 5e podcast, where five adventurers go brave the strange things thrown at them by their DM. All lady type, all LGBT, all nerd. We start our adventure, both players and characters, in Anselm. Five strangers from wildly different backgrounds coming together, sort of, on the Festival of Onaos, where things go a little more interesting than one would usually expect. As this is the first episode, and the first session, the length is not indicative of future episode lengths, as we know it's one hell of a commitment to listen for that long! Enjoy! Update: now without 15 minutes of silence at the end. After last session's strange starbeasts, the gang investigates tracks, gets some bonding done, and meets a new friend. The party goes looking for tracks, and talks stars in jars as they try to figure out their next step in finding the starbeasts. If you like this episode, please let us know by tweeting at us @JointPodventure or using #JointAdventureCast, leave a review on iTunes, or tell your friends about the podcast. Next episode will be up in the week of December 24th. After discussing what they can do, the party realises that the only way forward for them is heading into the jungle, but who knows what waits for them there? If you enjoyed this episode, please let us know by tweeting at us @JointPodventure or using #JointAdventureCast, leave a review on iTunes, or tell your friends about the podcast. Next episode will be up in 2019, the week of January 14th. © 2019 OwlTail All rights reserved. OwlTail only owns the podcast episode rankings. Copyright of underlying podcast content is owned by the publisher, not OwlTail. 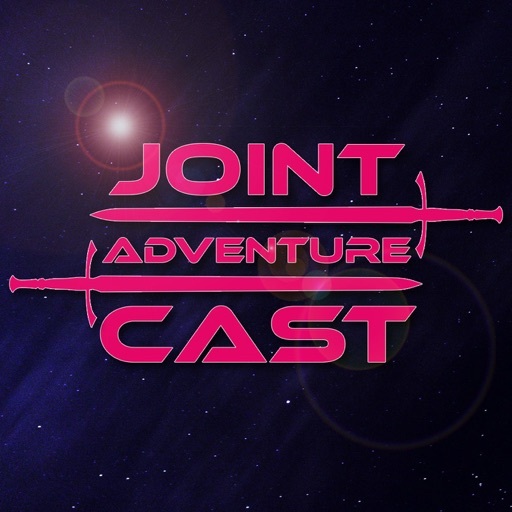 Audio is streamed directly from Joint Adventure Cast servers. Downloads goes directly to publisher.